So if you’ve been following my posts, you know that I’ve been showing my pics from a recent trip to Japan. If you haven’t been following my posts, I’ve been showing some pics from a recent trip to Japan. 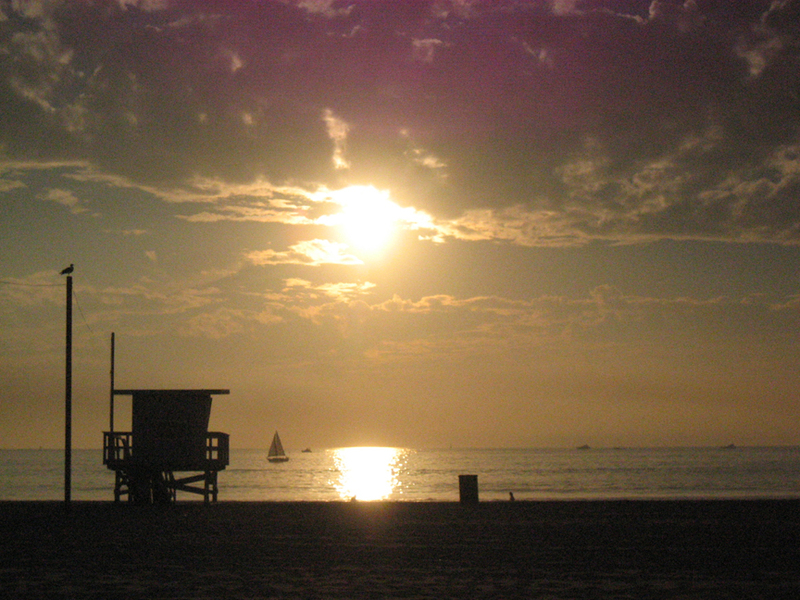 The sun setting in Venice Beach, California. We’ve been working on the budgeting, casting, fund raising gifts, and even learning basic html to get the website up and running. In trying to make this film, I’ve almost turned myself into a hikikomori as well. Everyone has felt alone at some point in his or her life and everyone has a story to tell. I’d like to tell mine. You have to see Mount Fuji when you visit Japan. You don’t have to go there but you have to see it. 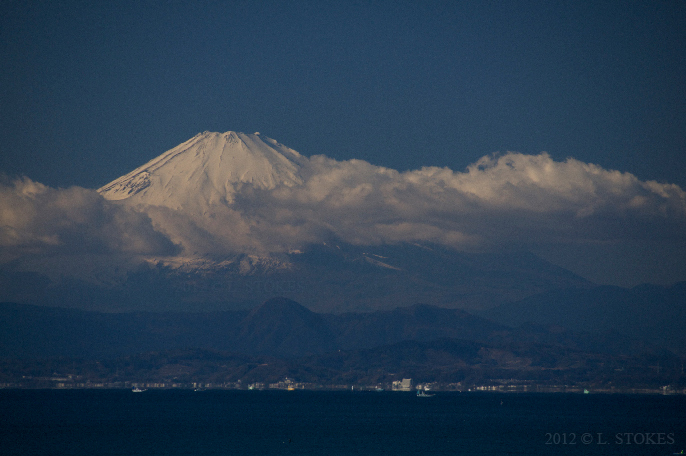 Somewhere between Yokosuka and Kamakura, along the coast, there is a place to pull over and view Fuji-san in the distance. Fyi- I zoomed in all the way in on a 200mm dslr lens to get this photo. It’s a good ways away. We’ve got another treat for you if you head into downtown Yokosuka! 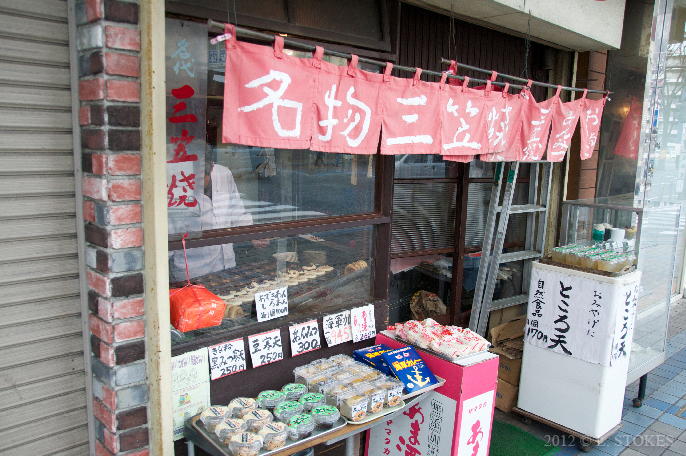 Once you’ve had some 焼き鳥 at our favorite skewer stand (see blog) get back on the main road and walk towards the base. On the right you’ll see another favorite from my wife’s childhood… いまがわやき (pronounced e-mah-gah-wah-yah-key / Imagawayaki) although the owner calls it みかさやき (pronounced me-kah-sah-yah-key / mikasayaki). 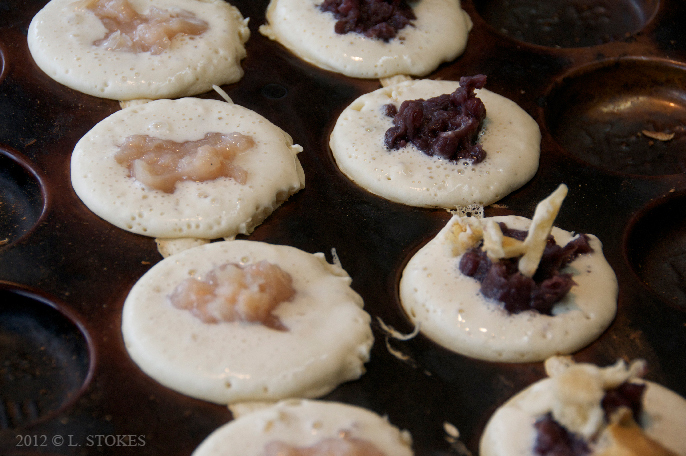 “Imagawayaki (今川焼き?) 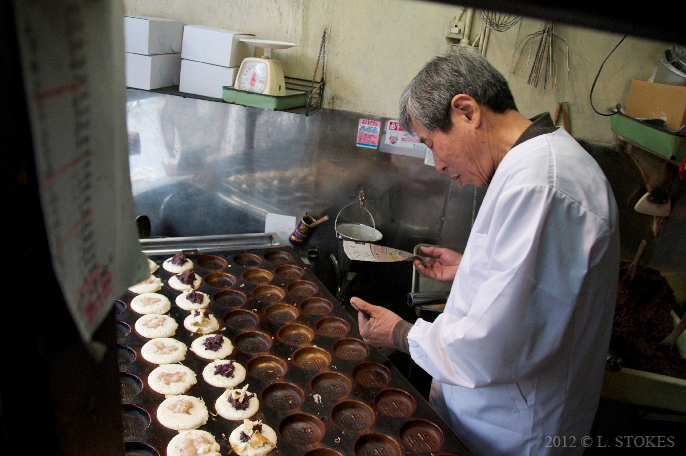 is a Japanese dessert often found at festivals, also eaten in Taiwan (where it is called chēlún bǐng 車輪餅 or hóngdòu bǐng 紅豆餅). 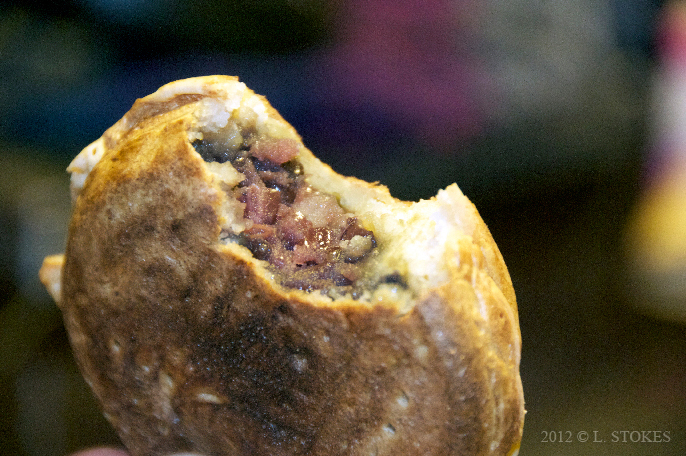 It is made of batter in a special pan (similar to a waffle iron but without the honeycomb pattern), and filled with sweet azuki bean paste, although it is becoming increasingly popular to use a wider variety of fillings such as vanilla custard, different fruit custards and preserves, curry, different meat and vegetable fillings, potato and mayonnaise. 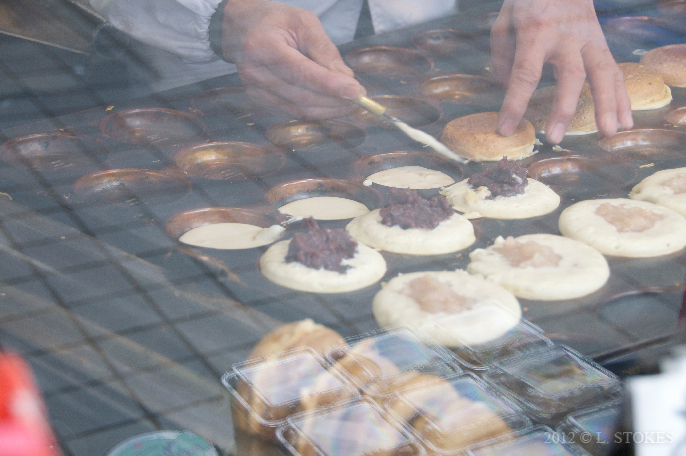 Imagawayaki are similar to Dorayaki, but the latter are two separate pancakes sandwiched around the filling after cooking, and are often served cold. Despite the wiki definition, my wife says the filing has been typically red bean. We came back to this shop about three times. It’s so good. Every time we seemed to attract a few foreigners who would have normally walked by, which was awesome. White bean and red bean both sweet and delicious. The business is family owned and apparently the same cook/owner has been doing this for more than thirty years. International magazines and multiple tv shows have covered this humble snack place so the owner is not shy in the least but don’t talk his ear off because (like most Japanese) he’s a dedicated pro and is running a business, so there’s not much time for small talk (in the native tongue of course). Next to dorayaki, this is by far one of my favorite Japanese deserts. So it turns out that most cities and towns in Japan have a mascot and regional dish. 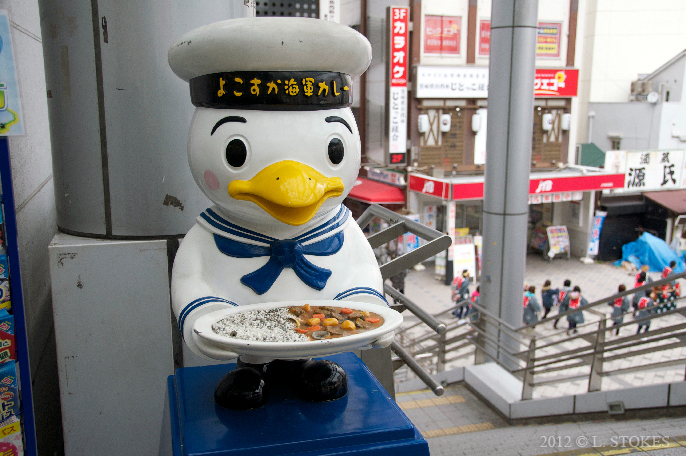 Yokosuka’s mascot is a duck and the regional dish is curry. Obviously the duck has something to do with regional naval history but I’m not sure about the curry. The city’s mascot holding the regional dish. One our friends is from Kumamoto and their town mascot is a bear. I forget what the regional dish is. Do you have a regional mascot and dish? I grew up in Baltimore, Maryland our regional dish is steamed blue crab or crab cakes. Our official state bird is the Oriole and unofficial the Raven. 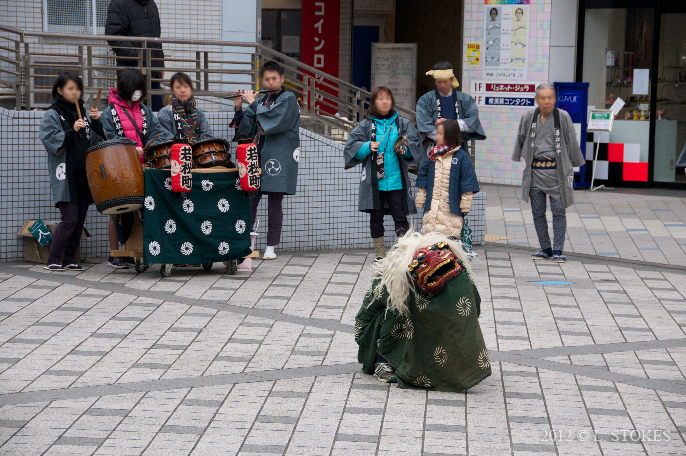 On our way to get lunch, we came across some street performers in front of the subway station. We stuck around for the first and second acts but couldn’t hang when a really cold wind came blowing through. 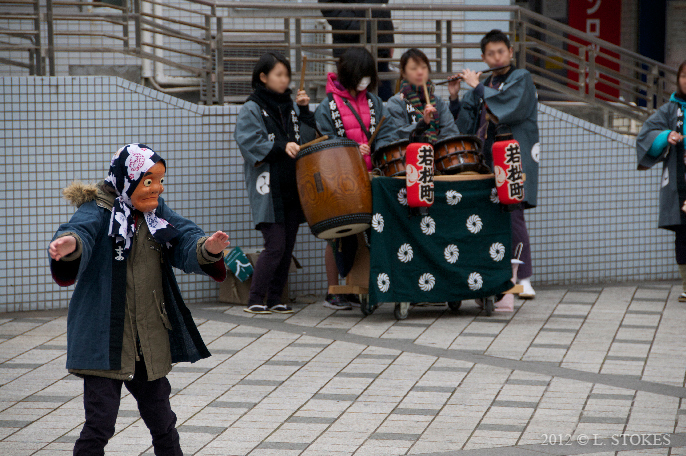 According to the misses, the performance had something to do with celebrating the New Year. I tried to follow up but she was already booking it for the door. I followed and forgot about when I saw… lunch. Maybe some one out there could fill me in on the New Years celebrations?